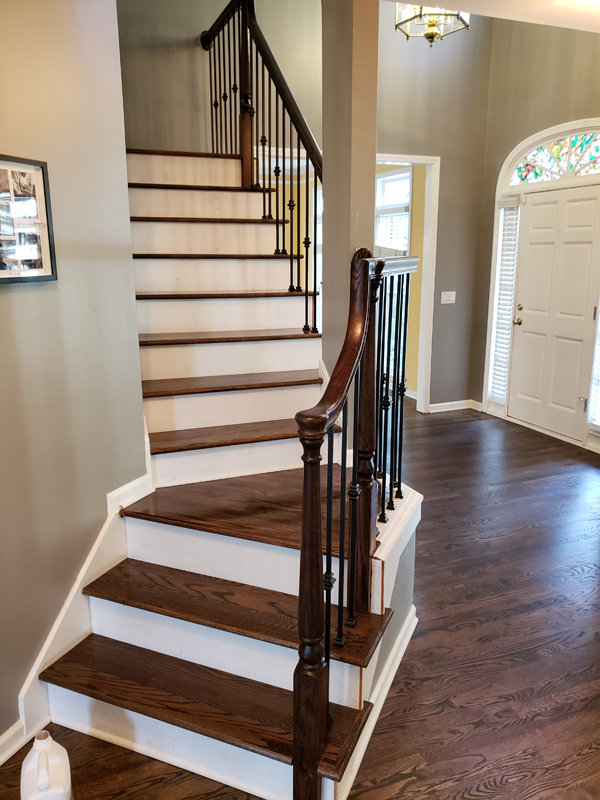 Flooring Service Group offers top quality banister and staircase refinishing in Buford, GA. A well-finished staircase can add a subtle elegance to your foyer and really impress your guests. 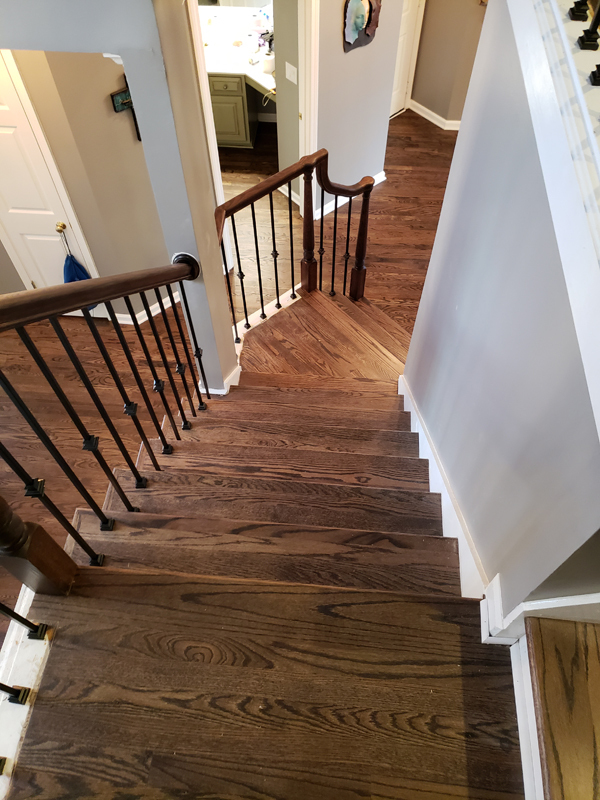 We will sand, stain, and finish your entire staircase as well as your handrails and balusters so that they're looking good as new. We can also help you upgrade your carpeted staircase to a hardwood staircase in no time. 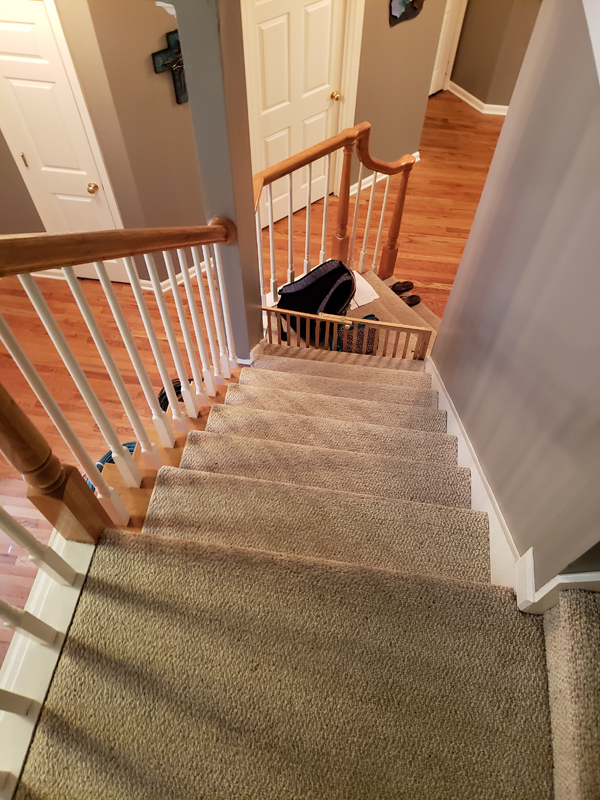 We begin our staircase refinishing process by removing any carpet as well as the original finish. Next, we sand down the wood to create a smooth feel. Then we apply a coat of the stain that matches the wood and the style you're looking for. Following that, we'll apply multiple coats of the polyurethane with sanding in between. Sanding is performed between each layer using very smooth sandpaper that will allow us to remove even the tiniest imperfections. Lastly, we'll buff the stained wood to remove any dust or dirt and give the wood a nice, shiny finish. Flooring Service Group can also refinish your staircase's handrails to match your new steps. If you don't have hardwood floors or steps, your handrails can still be refinished to a new color. You can also upgrade your handrails to wrought-iron balusters. Adding the bold look of iron balusters to your staircase can go a long way to completing your home's theme. Wrought-iron balusters come in a variety of styles and shapes, allowing you to customize your install. As it is with everything Flooring Service Group does, our work is guaranteed and your satisfaction is our top priority. We strive to give the best style and quality at competitive prices. 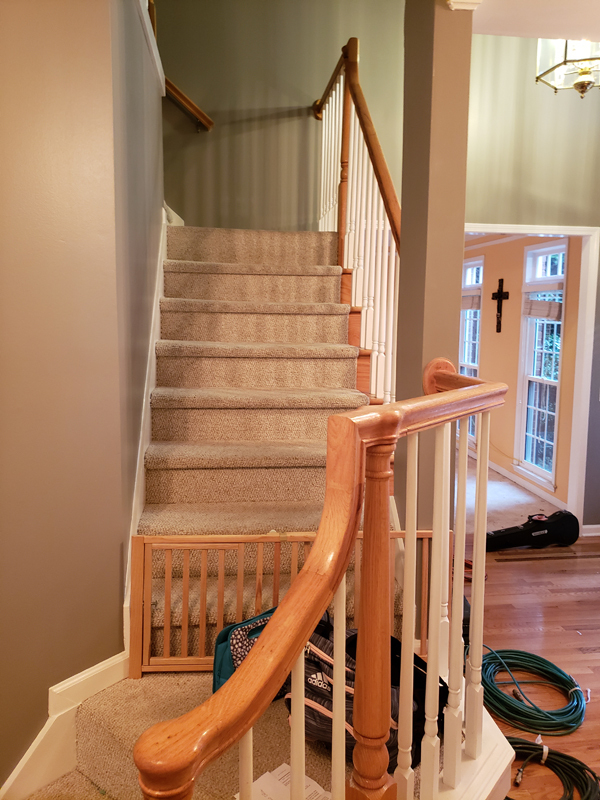 To contact us for banister and staircase refinishing in Buford, GA, give us a call at 678-697-0710.